This past week, I watched as three of my colleagues finished in their current positions with two of them leaving Italy to return home to the US. 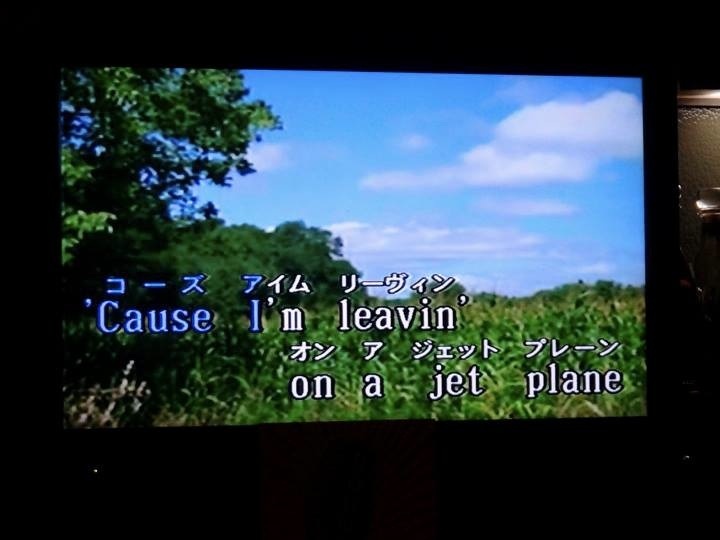 As they wrapped everything up, I noticed that they were verbalizing things as their “last X”, just as I did when preparing to leave Japan two years ago. Again, similarly, there were final dinners, gifts exchanged, speeches made, last minute shopping, and neverending packing. Observing all of this and considering my own feelings, I grouped my thoughts into two categories: gratitude for the goodbyes and see-you-laters I’d been able to say and contemplation over the multiple ways human beings opt to say farewell to people, places, and things they may not experience for a long time, or ever again, for that matter. Despite the fact that it’s two years later, I suddenly felt an overwhelming appreciation for my last eight weeks in Japan. That time was full of farewell meals with various groups I’d become a part of – Toastmasters, TEDx, school staffs, my Board of Education, Fukuoka AJET – along with abundant packing, attending my favorite events, chowing down on my beloved yakicurry in Kitakyushu a few last times, conquering Mt. Fuji in a culminating climb, doing touristy things around the area I never made time for before, and soaking up every last drop of a community I’d grown to know and love. My last night consisted of going for countless Japanese dumplings with friends, doing two hours of karaoke, visiting a favorite local bar, and grabbing a special late night Kokura burger. It was everything I wanted and the people with me made it perfect. If you were one of them and are reading this, thank you again! Saying goodbye to Japan after five years was difficult primarily because I didn’t know when I’d be back, and when I’d be able to see certain people again, as we re-scattered across the globe. Disembarking after Semester at Sea brought a flood of tears but it was comforting to know that most of my friends were a car ride away. And while I haven’t seen all of them since then, I’ve fortunately been able to keep in touch with far more than expected. Upon leaving the UK last year, there were a few last things I wanted to do that I managed to fit in – walking by all of the famous London sights one last time, getting pints with old friends, enjoying the sun on Brighton Pier, thanking all of the people who helped me throughout the year – but much more so than the other farewells, it really did seem like a see-you-later. My Master’s degree graduation six months later ensured that. That coupled with the comparatively short, less intense amount of time spent there made my departure certainly less emotional. Although it is vital to dole out compassion and patience in spades throughout the farewell process – yes, I did say “process” because leaving Japan took me eight weeks – it is important to note that there are ways to facilitate both a somewhat easier goodbye and smoother transition into the next step. Non-planners are going to hate me for saying this, but planning really is a must here. Think about who you want to say goodbye to and how you want to do it. Consider what people, places, and things you’ll miss the most and plan a way to engage with them. Then, JFDI. Next, take tons of photos. I generally go snap-happy in the time leading up to departures and just searching for a photo in my “final Japan photo album” to add to this blog brought back some incredibly heartwarming memories with friends. Lastly, preparing emotionally and mentally, I recommend David Pollock’s RAFT strategy. Go on, Google it. In watching my peers “do their goodbyes”, I reflected on how I wanted to do the same next June, when I move out of Italy. Will I have the same strong feelings and express similar things in my farewell speeches? Or will I be too excited for the next adventure(s) to appropriately appreciate my time spent here? I imagine it will be mix of both, exemplifying a bittersweet send-off. But at the very least, I plan on spending my final week indulging in 2 Euro glasses of prosecco, taking in the Dolomite views from my apartment balcony, and laughing over ridiculous memories made.